Liposuction is a surgical procedure that improves the contours and overall shape of the body by removing unwanted fat deposits that are located between the skin and muscle on areas such as the hips, abdomen, buttocks, thighs, knees, upper arms, and chin. Though it is not encouraged as a substitute for dieting and exercise, liposuction is occasionally the only way to remove fat deposits that aren’t responding to typical weight-loss routines. We offer several different liposuction procedures at the Greenwich Center for Plastic Surgery office, such as fluid injection liposuction, tumescent injection liposuction, and SmartLipo™. 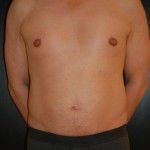 FLUID INJECTION – This type of liposuction involves the injection of a liquid solution containing a local anesthetic (lidocaine), a drug that contracts blood vessels (epinephrine), and a saline solution into areas where the fat is going to be removed. The fluid facilitates fat removal, lessens pain and helps to lessen the bruising and blood loss that occurs during surgery. TUMESCENT INJECTION – Similar to fluid injection liposuction, tumescent injection also involves injecting a fluid containing a local anesthetic and epinephrine into the targeted area. This type of injection requires less anesthesia than a normal fluid injection, but it also takes longer to perform. This procedure is recommended for those who are closer to a healthy weight and are seeking to remove specific areas of fat. 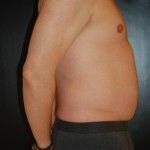 SMARTLIPO™ – This type of liposuction involves inserting a small tube into the targeted area and delivering energy in the form of a laser that ruptures fat cells so they can be drained out. It also causes the surrounding skin to shrink down. The recovery time is typically shorter than traditional liposuction as the laser causes the blood to coagulate, causing less bleeding, swelling, and bruising. After receiving liposuction surgery, you will be required to wear an elastic post-surgical garment to help control swelling and you will likely experience bleeding, temporary numbness, burning, and pain. Some patients may also be required to have a small tube placed under their skin to aid in draining out excess fluids. The recovery time for most patients ranges from one to two weeks and most bruising fade away after three weeks, though it could take longer. The Greenwich Center for Plastic Surgery will be there to monitor and aid you throughout the process to ensure you have a safe and speedy recovery. The Greenwich Center for Plastic Surgery has a highly trained staff, years of experience, and an excellent record of success. Though complications stemming from liposuction are rare, there are risks involved. The severity of risks varies depending on the number of areas that are treated and a number of fat cells that are removed. Potential risks include infection, clotting, fluid loss, friction burns, slow recovery time, perforation injury, and an adverse reaction to drugs. For more information on how Dr. Raskin can help you obtain optimal results, call or contact us today!